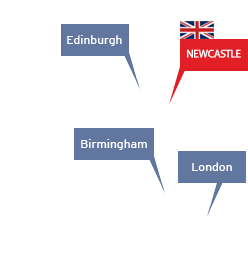 At the heart of England’s fastest growing tech cluster, a dedicated UK Science City and with a wide range of financing options, Newcastle provides a perfect environment for your business to flourish. Our dedicated team can help to advise you on access to finance as well as providing you with a bespoke list of property solutions, which will fit your needs. Newcastle’s close knit, and supportive, business community actively works and collaborates together, achieving shared growth. In addition we have a wide infrastructure of assets including four national centres of excellence, specialising in big data, energy, ageing and marine and two world leading universities. 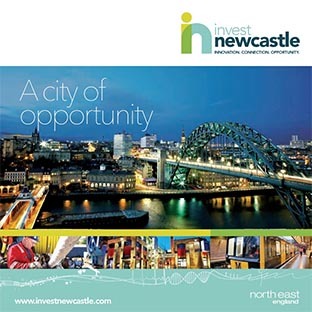 The Invest Newcastle team are always happy to make introductions and embed you into the right networks. So if you are looking to grow your business get in touch and our team can help with, research and intelligence to help build a business case, office solutions, recruitment, introductions to networks and signpost you to the best funding options.